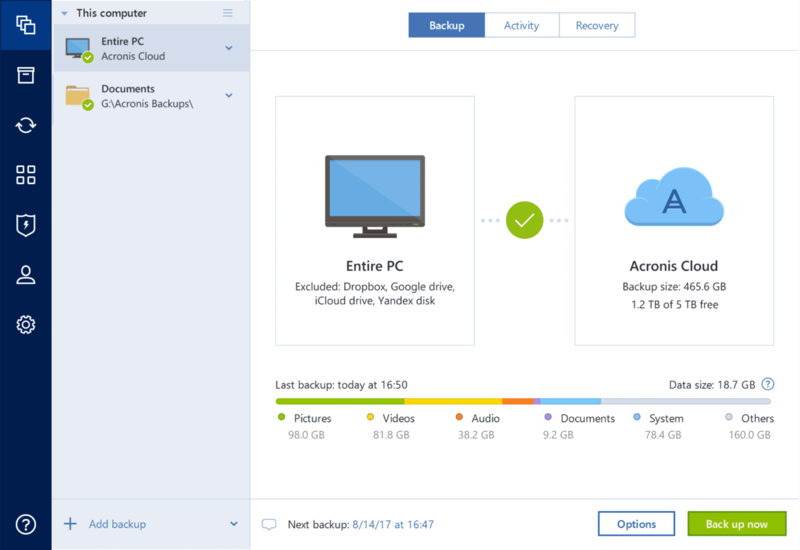 Acronis True Image, the most reliable, easy-to-use and secure personal backup software and the only backup that actively defends your files against ransomware. More than 5.5 million customers worldwide rely on our technology. You can back up everything: including operating systems, applications, settings, photos, videos, files, social media accounts from PCs, Macs, iOS and Android devices. Dual protection ensures your data is secured locally and in the cloud for quick recovery. Back up your full system to a local drive, NAS or the cloud to return your computer to the exact state it was in before any data was lost.